Brisbane - The Reds have made two changes to their starting XV for Saturday’s Super Rugby clash against the Melbourne Rebels at Suncorp Stadium. Kick-off is at 10:45 (SA time). South African-born twin brothers, JP and Ruan Smith will both start in the front row this weekend, with fellow props Taniela Tupou on the bench and Feao Fotuaika ruled out after fracturing his thumb against the Brumbies. Following his impressive performance last week, Tate McDermott has retained his starting spot at No 9 alongside flyhalf Bryce Hegarty in an unchanged Reds backline. Tupou is only the difference to the reserves, as the Reds look to make it three straight wins this season with victory on Saturday night. “The Rebels will be a tough assignment as they have plenty of threats, but our main focus has been on us and growing our game," head coach Brad Thorn told the Reds' official website. “It’s disappointing losing Feao. He’s a big loss for us. As he’s done all year, he’ll continue to work hard to get back playing as soon as he can. We’ve got a great support team here with Cameron Lillicrap (coach and physiotherapist) and Brynley Abad (Strength and Conditioning head coach) who will ensure he returns even fitter and stronger. “The Smith boys get the opportunity to start this week after their good performance in Tokyo, with Taniela moving to the bench. Our bench/finishers have been a real strength for us when they’ve come on and made an impact for us,” said Thorn. 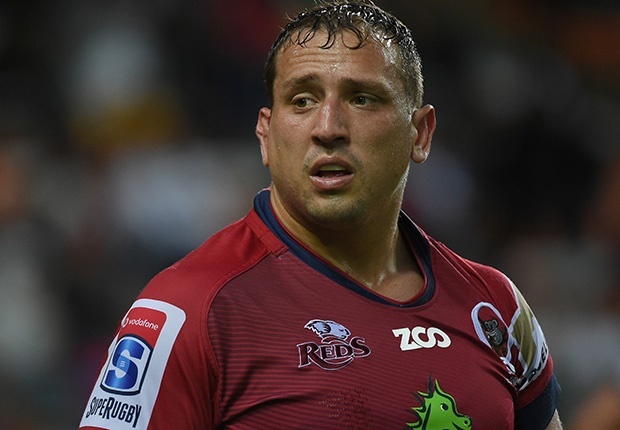 Following the Reds' upset win over the Rebels in the penultimate round of Super Rugby last year, the men from Queensland are aiming to record back-to-back wins against Melbourne for the first time since 2013.